Census data to 2011, Mid-year population estimates for 2015, GLA projections for 2021. London’s population was 8.8 million, 13% of the total UK population. 3.5 million people lived in Inner London, and 5.3 million lived in Outer London. London’s population has increased by around 650,000, an annual increase of around 120,000 a year. This is twice the rate of growth of the UK as a whole. in London vary hugely by population size – Barnet and Croydon were the two biggest boroughs, both with populations of 380,000. The smallest borough, Kensington & Chelsea, is less than half the size with a population of 160,000. London’s population has grown 7.5% in just five years. The UK as a whole has grown by 3.7% over this period, or 3.2% excluding London. The capital contained approximately 13% of the total UK population in 2016. Inner London’s population has increased by 300,000 since 2011 to 3.5 million while Outer London’s has increased by 350,000 to 5.3 million. Outer London’s population is 60% of the total. These numbers are projected to grow to 3.7 and 5.6 million respectively by 2021. Inner London’s population remains well below its historic peak of 5 million before the Second World War. The 1930s was the last time that the population of Inner London was larger than that of Outer London. While the overall population of London fell between 1939 and 1991, it has grown rapidly since, by over 1 million in the two decades up to 2011. The population is projected to continue grow rapidly over the coming decade, increasing by 600,000 in the six years to 2021, reaching 9.3 million. 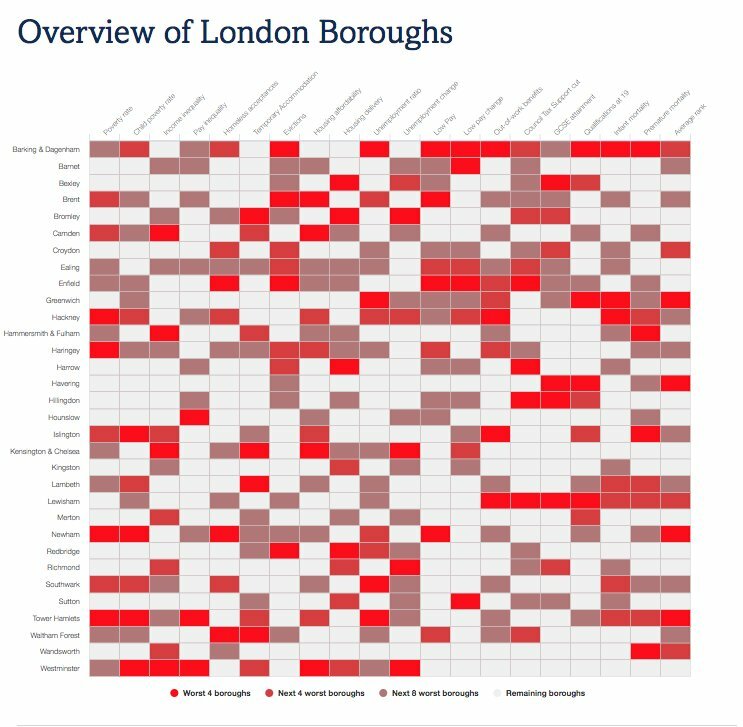 London has 32 boroughs of varying sizes, plus the City of London. 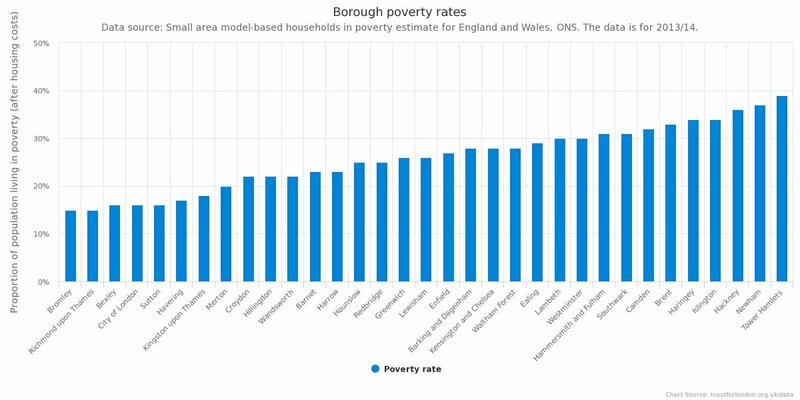 In 2015, Barnet and Croydon were the two biggest boroughs, both with populations of 380,000, making them the equivalent of medium sized cities in their own right. Kensington & Chelsea is the smallest borough with a population of 160,000. The population of Tower Hamlets is set to have the most rapid growth of all London boroughs between 2015 and 2021. It is projected to grow by 8%, taking the population from 305,000 to 330,000. Kensington & Chelsea is set to have the slowest growth, increasing by just 1% in the same time period. How can we strengthen the voice of people with lived experience in campaigns for social change?